On a sunny September morning, Cornwall 365 took twenty creative and tourism businesses to Kestle Barton to learn about flora, fauna and photography in this unique part of Cornwall. 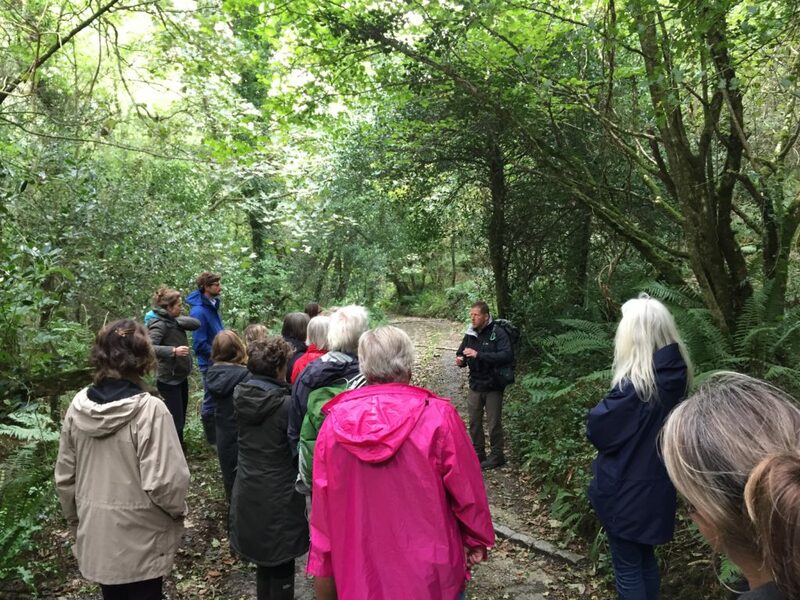 Our guide was naturalist Steve Crummay of Explore in Cornwall, who led us from the colourful Kestle Barton gardens down a woodland path toward the Helford River. Steve was taking us to Frenchman’s Creek, famously Daphne du Maurier’s honeymoon destination that she used as a magical location for her eponymous pirate romance. 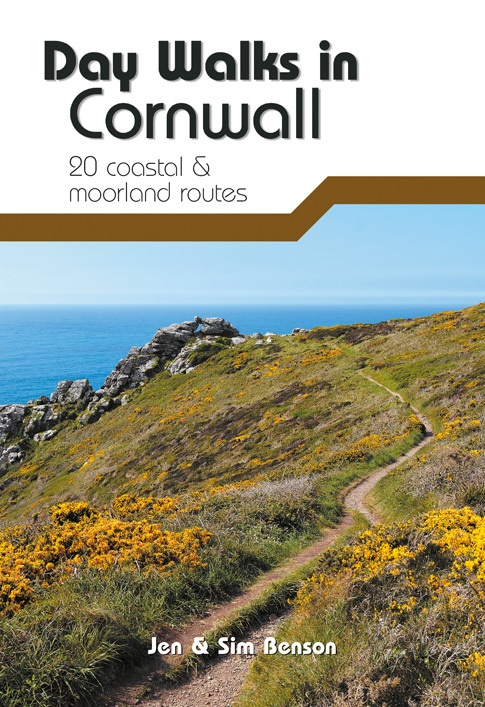 Nestled between Falmouth Bay and the eastern side of The Lizard Peninsula, the area is home to a variety of wildlife habitats, from rocky shores to sandbars and tree-fringed creeks. Steve showing us how to identify wildlife feeding signs. Some gnawed hazelnuts scattered just off our path caught Steve’s eye – did you know you can tell which creature has been feasting on hazelnuts by the way they’ve been nibbled? Here the nuts had been split in half, a tell-tale sign of the grey squirrel. The illusive common dormouse leaves a smooth, round hole in the side of the nut, with tooth marks running around the inside of the hole… a sure-fire way to know if you have these rare (and vulnerable) cuties nearby. 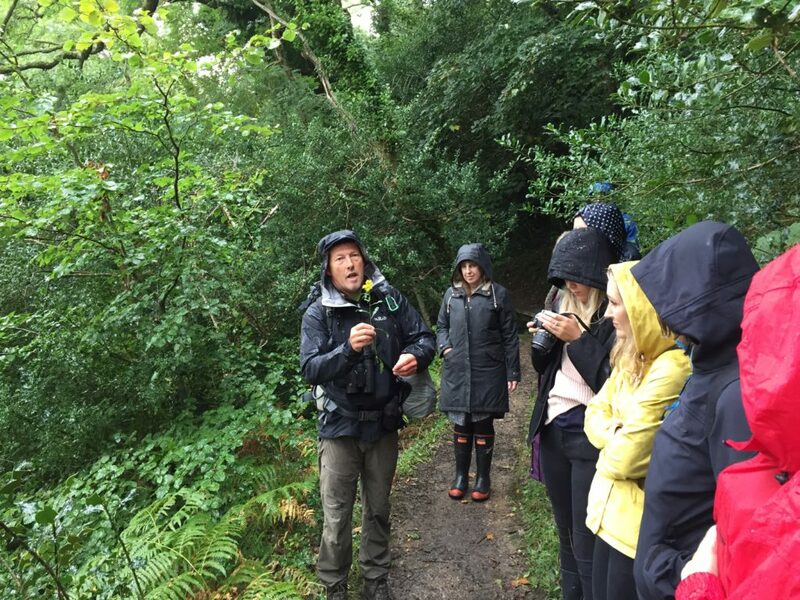 As we followed the path down to the water, Steve shared some of his knowledge about the wide and varied ecology of the Helford River. The water is home to over 80 species of fish, and the beds of eelgrass are home to a range of species from tiny invertebrates, to worms, shellfish, fish and even seahorses! At high tide you might spot the flash of a kingfisher here; Steve’s tip is to bring your camera at high tide in the morning or the evening, and find a spot near a fallen tree or low-hanging branches at the waters edge where they will hunt for food. 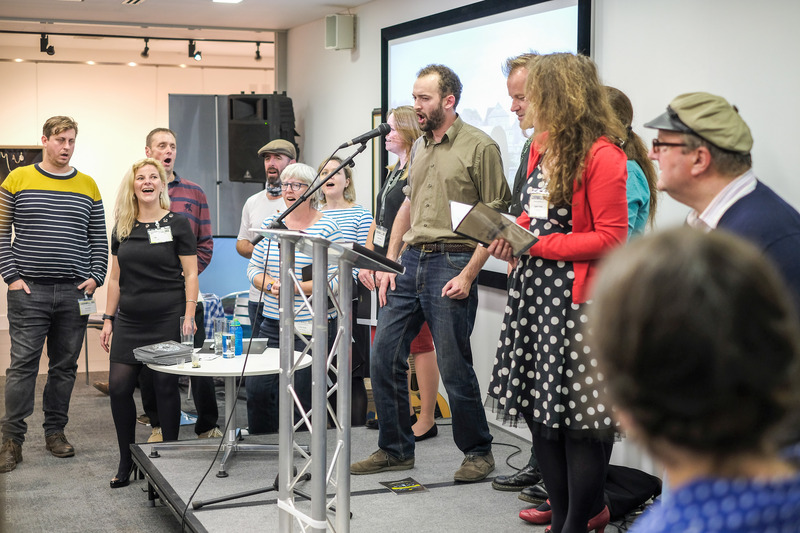 He also suggests bringing a flask of tea… you might be here a while! 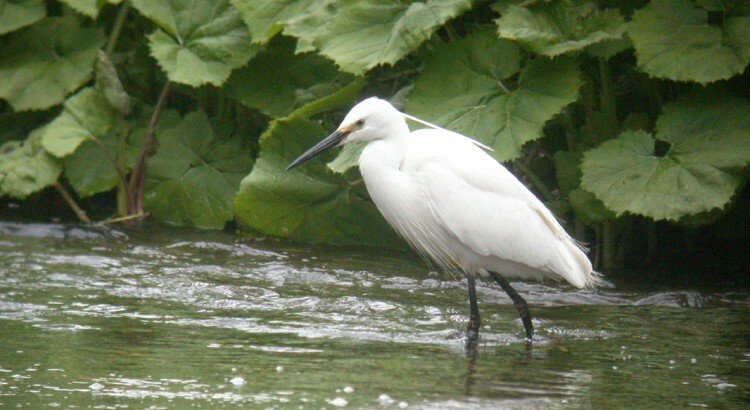 An easier-to-spot river resident is the Little Egret, a small white heron who used to be a rare winter visitor from the Mediterranean, but is now a common site on the coasts of Cornwall and the UK. Foraging has become a rather trendy pastime, but Steve reminded us that anyone can be a forager; in fact, most of us are. For many of us, collecting and eating wild plants has been part of life since childhood. In my house the end of summer would mean sticky perma-purple fingers and thorn-scratched ankles as we picked blackberries on every walk home from school. Woodlands are great places to find wild food, and Steve gave us some great tips for what to look our without harming woods or wildlife. Here we found damsons, sloes and blackberries, as well as some more unusual plants that we might have overlooked. Steve was clear that you must only forage on land where you have permission, and to only pick things that you know for certain are safe. 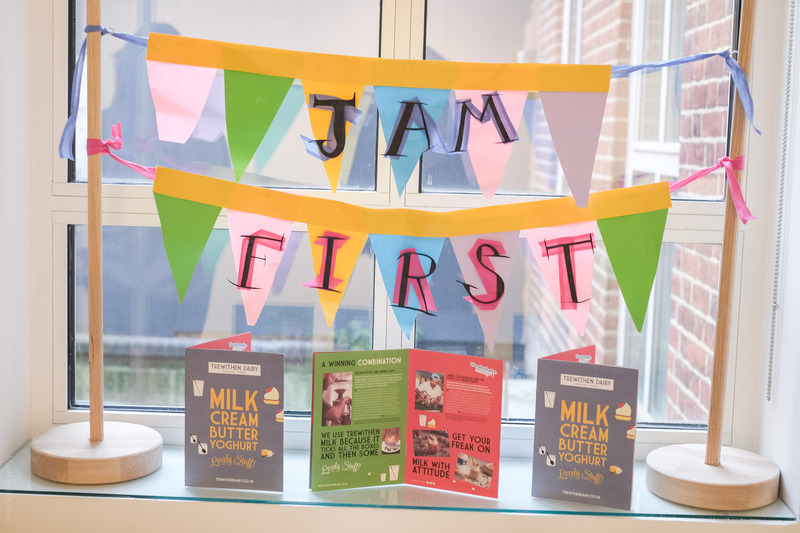 Having a guide on hand can help you find tasty food responsibly, and there are some great resources online like the Woodland Trust’s Foraging Guidelines. Steve Crummay shows us how to identify Golden Rod – historically beneficial for the kidneys and bladder… and might even help a sore throat! 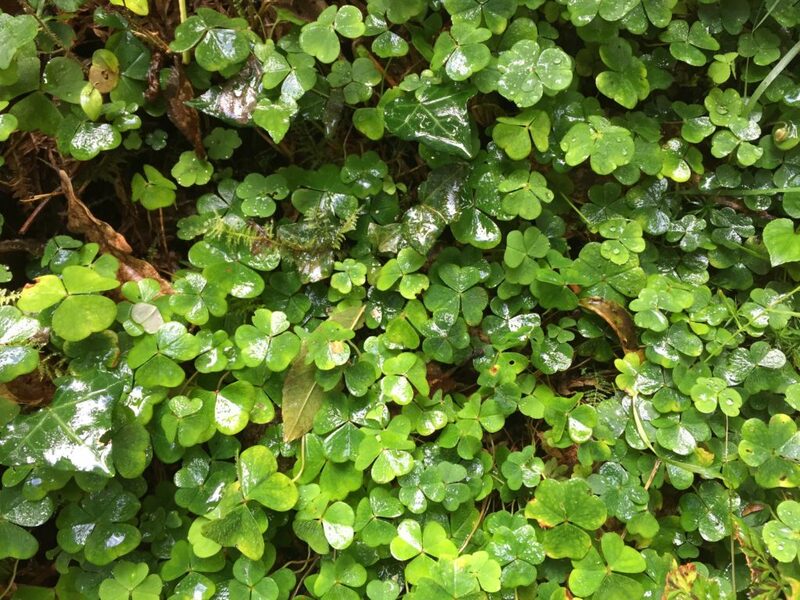 Wood-sorrel can be identified by its distinctive trefoil leaves. At night, the three, heart-shaped lobes are folded back into a tent; during the day, they flatten out. It’s a tasty edible addition to salads and tastes like apples! Whilst under the cover of the trees, the heavens opened… Steve’s advice? “It’s fair to say it does rain here sometimes… not every photo needs to be in blazing sunshine!” We happily got on board with this (though let’s be honest, we didn’t have much choice). 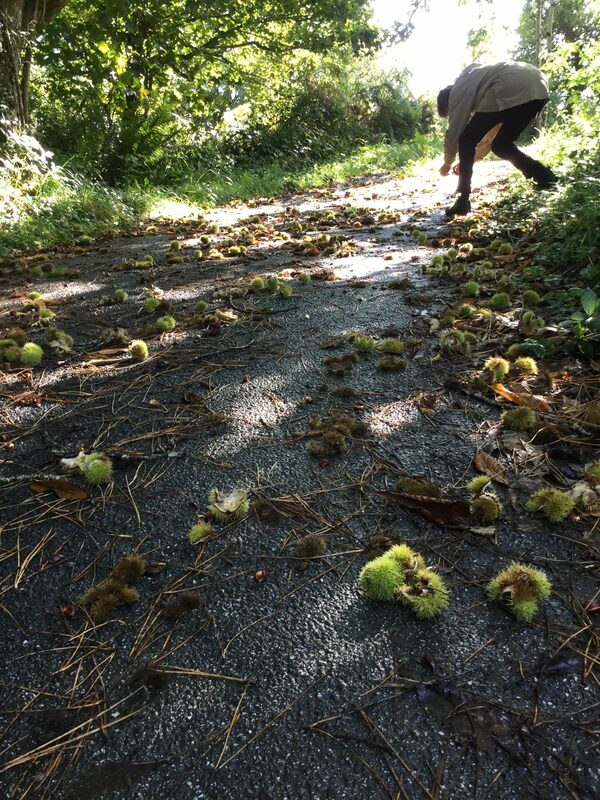 As we walked up from the valley, the floor was littered with sweet chestnuts (a traditional foragers treat) and Steve took a fab photo to demonstrate how playing with light and perspective can make an every-day object look great. 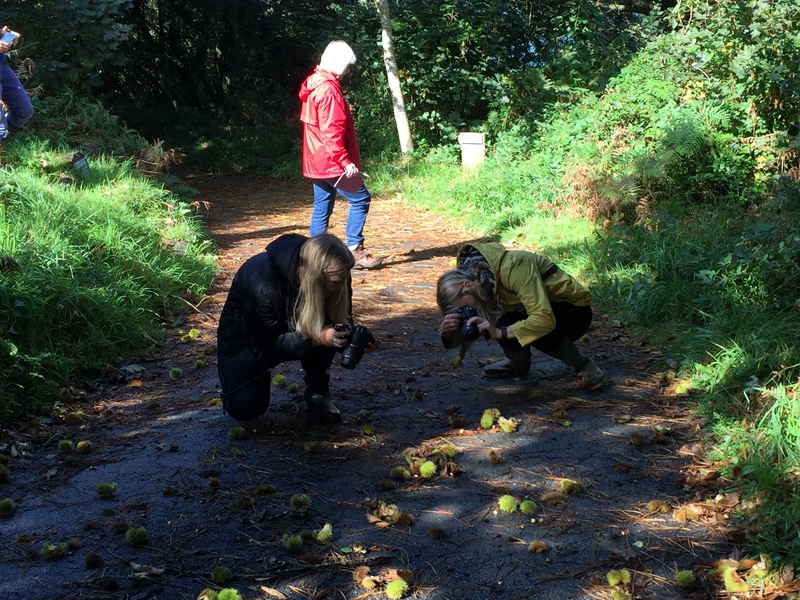 Cue the whole group getting down on the floor to take photos of sweet chestnuts on the ground, and the inspiration for our Flora and Fauna Photography Competition! 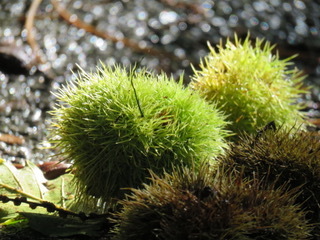 Steve’s inspiring sweet chestnut image! 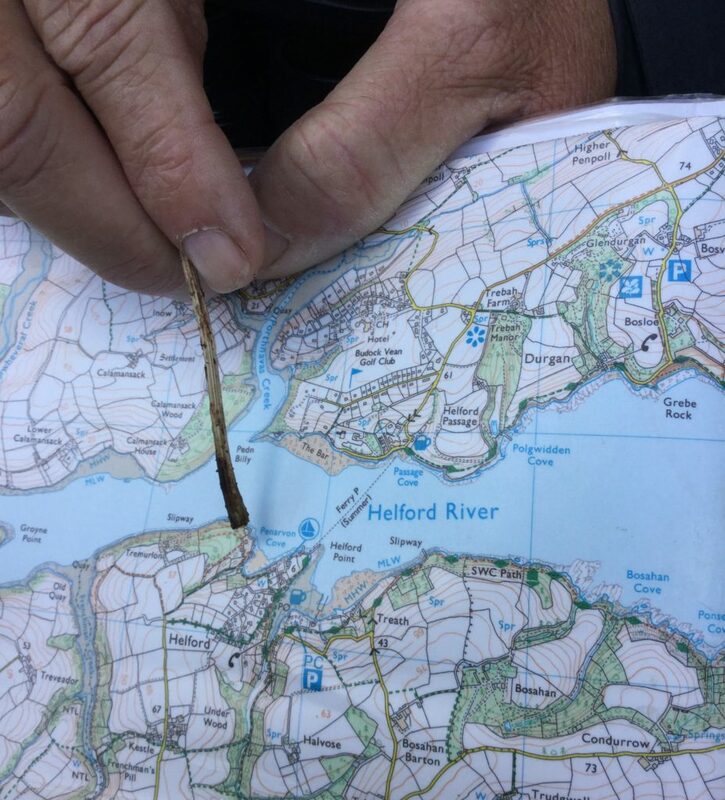 Steve then took us down to Penarvan Cove in Helford village. Once a busy port dealing in lace, rum and tobacco, during the Napoleonic Wars pirates and free traders would have been regular visitors here… nowadays this industry is gone, though fishermen still use the river to moor up and land their catch. From the cove we continued through the village, past the Helford Village Shop (stop to grab an ice cream if you can) and the Shipwright Arms (perfect for a pint or a bite to eat) and through a leafy pathway where we found mushrooms and moss. Penarvan Cove on the map. As the sun reappeared and our bellies began to rumble at the thought of fried wild mushrooms, we arrived back at Kestle Barton for lunch. 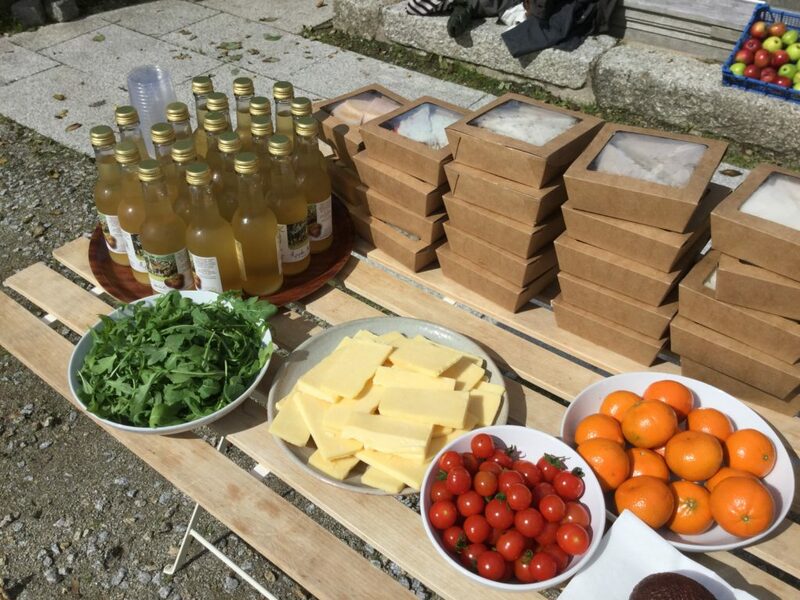 Curatorial Director Ryya Bread met us with delicious vegetarian spread including home-grown apple juice. 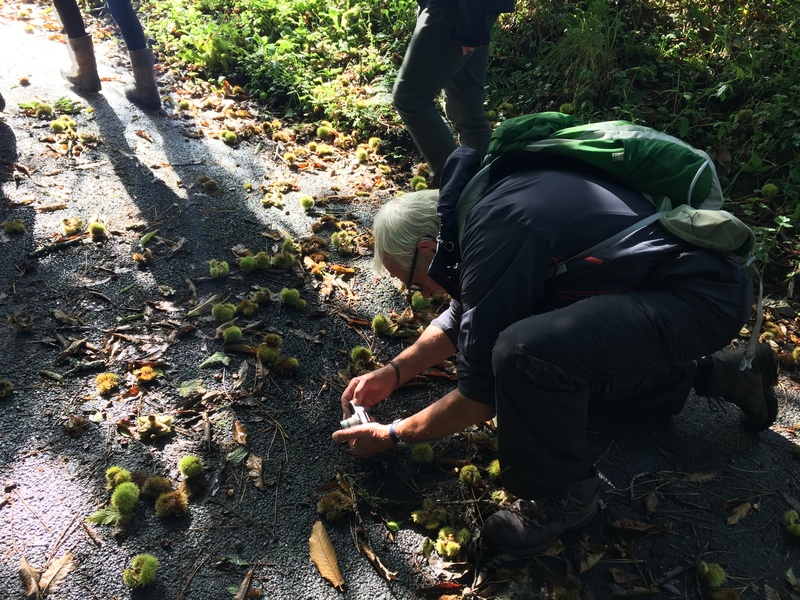 Having re-fuelled and compared our sweet chestnut photos, we sat down with Steve who gave us some of his top tips for getting some great pictures! When photographing animals or birds, trying using the ‘burst’ mode on your camera or phone and pick your favourite shot. Take photos of the ordinary. Get up close and personal! This could be using a zoom on your phone, but if you don’t have a fancy lens this might not be an option. Get closer with your camera, or if this isn’t possible (for example, with wildlife shots where the subject might run/swim/buzz away, this is where binoculars can come in handy! Try putting the lens of your camera through one of the eye pieces, and allow the camera to focus before taking the picture. Great in a pinch! Play with perspective – don’t be afraid to lie down and get a bit dirty. Get to know your equipment – you don’t need to have lots of expensive gear, but take the time to make the most of what you do have. Know a little about exposure – slower shutter speed= more light let in. Make the most of natural light, and remember the ‘golden hour’ – the time around sunrise and sunset when the light has a more ‘golden’ appearance. Don’t be put off by bad weather – there’s always something out there. Be patient to get the shot you want. Always bring a small camera… you never know when you might need it. Practice makes perfect! 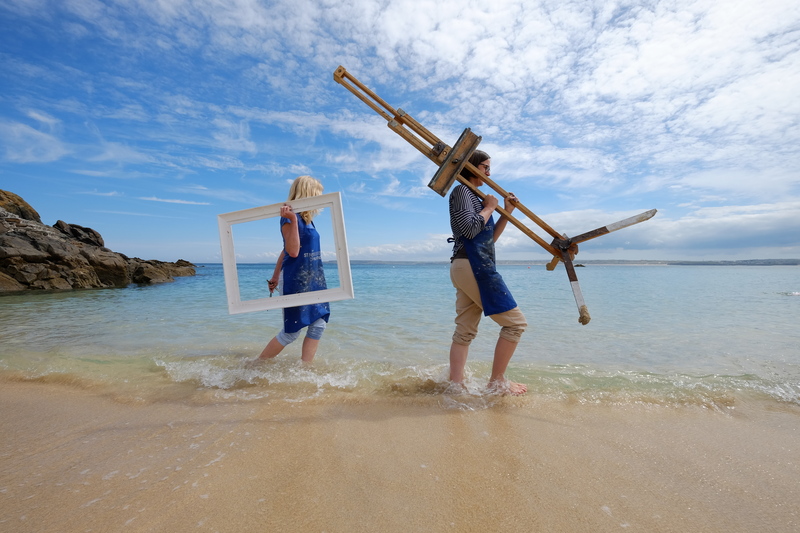 Luckily Cornwall has no shortage of inspiration or opportunities! 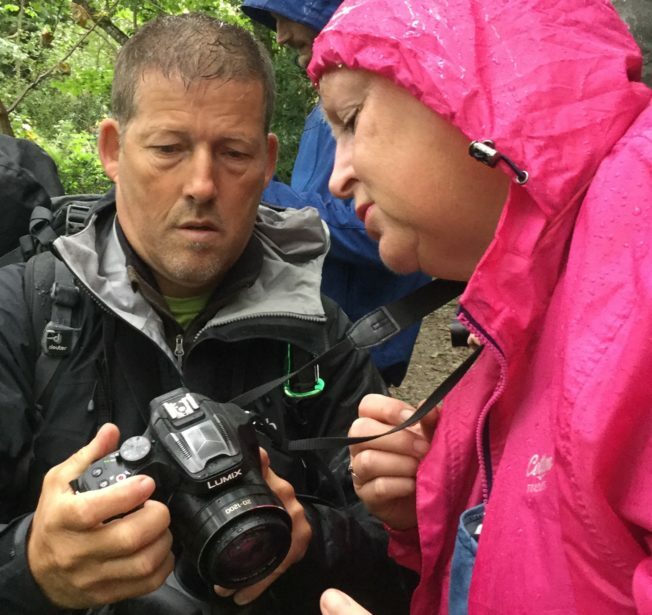 Steve Crummay is available for guided walks, private guiding and training. To find out more and see what he’s up to, visit the Explore in Cornwall website www.exploreincornwall.com and like Explore in Cornwall on Facebook. 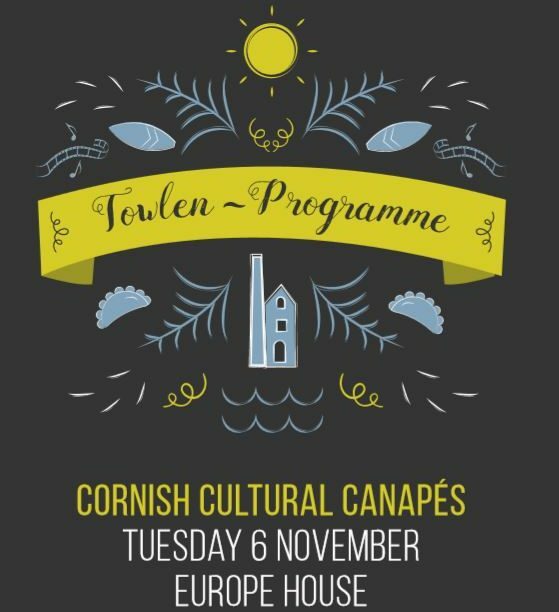 Imogen is the Events and Communications Co-ordinator for Cornwall 365.